You want to know another secret? Neither of them actually treat acne. No topical ingredient can do it since acne is a manifestation of an internal imbalance that results in the overproduction of sebum (skin oil) by the sebaceous glands; an inflammation that is triggered by too much sebum mixed with dirt, dead cells and bacteria manifests itself as pimples, cysts and lesions. The only real way to treat acne is therefore from the inside out, and by rebalancing the sebaceous glands. When you put these ingredients on your skin, your skin goes in to "protection mode" and ends up producing more oil, which is the exact opposite of what you want to happen! Why is Salicylic Acid No Good? Salicylic acid is a keratolytic. It belongs to the same class of drugs as asprin (salicylates), and it recently also graduated to the position of a skincare "fad," especially for topical acne products. 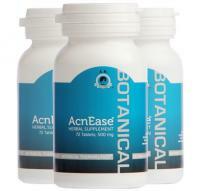 Almost every "acne treatment" or "solution", cleanser, toner and many "anti-aging" treatments contain salicylic acid. Salicylic acid works by increasing the amount of moisture in the skin and dissolving the substance that causes the skin cells to stick together. So it is exfoliating the skin, and can help to clean the pores off dead cells. Salicylic acid will NOT however get rid of acne CAUSES, as acne is a result of an over-production of sebum by your sebaceous glands. This sebum together with dirt, dead skin cells and, of course, bacteria will provide a basis for inflammation that manifests itself as pimples or cysts. Frequent and long term use of salicylic acid may actually cause a number of side effects such as skin redness and irritation, dryness and premature aging, and even problems such as dizziness, headaches, nausea, vomiting and diarrhea. Recently there are also some concerns voiced about pregnant women using products with salicylic acid. Medical professionals are split as to how much the use of salicylic acid can affect an unborn baby. Many health care professionals recommend that pregnant women stay away from any cosmetic products containing this chemical since it will get absorbed in to the bloodstream when used on the face and/or body. They can not only be extremely drying, and irritating for the skin and cause sun sensitivity, but may be cytotoxic and have been suspected to cause contact dermatitis and possibly cancer. 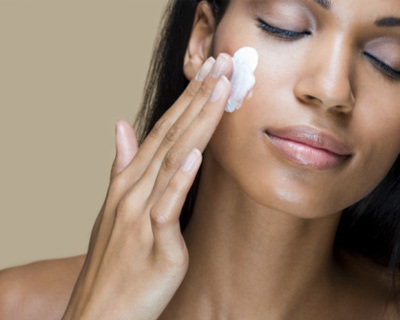 As in all other aspects of life, common sense is a good advisor when you choose products for your skin. Beware of guaranteed cures, miracle skin helpers and "secret formulas." Be an educated consumer and read the labels before you purchase (the FDA requires that label ingredients are listed in the order of highest concentrations - meaning that the highest level of ingredients are listed first). AND Find the Best Treatment for YOU! Our FREE Personal Smart-System matches you with the right acne treatment that will give YOU the best results.